of senior academics, business executives and high-end consultants, active in the wider maritime sector (international shipping, ports, transport, infrastructure and logistics). H&A provides executive education (on campus and in-house) and policy advice to the public and private sectors (government, industry and international organizations). of contract research of high societal and business impact and relevance. The world we are living in is becoming increasingly complex. I remember, as a young man, I used to fix my car at the sidewalk outside my door. Today, I don’t even dare to open the hood. Together with complexity increases our uncertainty, and, often, this impairs our vision and impacts our decisions. Uncertainty could even lead to decision paralysis, in view of the risks involved in a wrong decision. Our sector, Maritime logistics, in other words the optimization of shipping, ports, marine terminals and logistics operations is no exception to all this. In addition, here we are dealing with a fairly practical sector where, often, decisions are made on a hunch, or because everyone else is doing so, without proper analysis of the ramifications of our decisions. Shipping investments is a notorious point in case in this respect. Through our executive education, policy advice and contract research, the mission of H&A is to assist decision makers place their decisions in the right economic framework; understand the economic environment in which they operate; assess the risks and rewards of their decisions; understand competitive behavior; balance private profitability with the expectations of society; and last but not least formulate policies leading to sustainable development both privately and socially. As you will no doubt see in this website, among us we share years of experience in high level advisory services while our executive teaching has taken us to the four corners of the earth. In this regard, flexible in-house education and training, from entry level to boardroom brainstorming is our unique specialty. We hope to be able to interact with you at some point in time and, again, welcome to H&A. 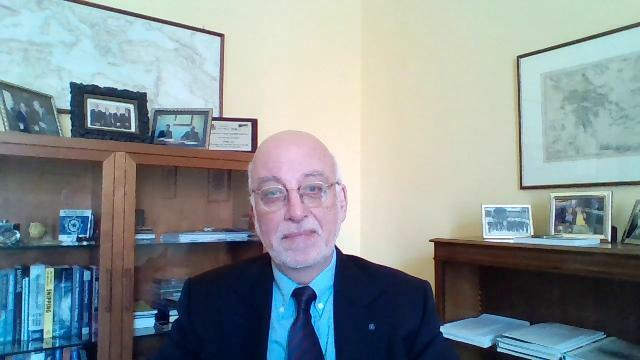 Dr. Hercules Haralambides is Professor of Maritime Economics and Logistics at Erasmus University Rotterdam, and Editor-in-Chief of the Quarterly Journal Maritime Economics and Logistics (MEL). Earlier teaching and research appointments include his dual chair in Maritime Business Economics at the National University of Singapore and the Singapore Management University. He has written and published well over 250 scientific papers, books, reports and articles in the wider area of ports, maritime transport and logistics and has consulted governments, international organizations and private firms all over the world including, for a series of years, the European Commission.